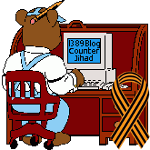 Blogger Persecution Hall of Shame: Governments silence bloggers with imprisonment, torture — 1389 Blog - Counterjihad! 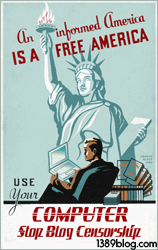 Click here for our Blog Censorship Resource Page! Click here to view all Blog Censorship articles! Click here for the 1389 Blog email form. Provide your email address and your blog URL. Tell us that you want to join the blogroll for Stop Blog Censorship! On your site, display the badge, the blogroll, or both. Click here to get the badge. Click here to display our blogroll on your site. Next post: Where ARE those missing Houston-area school buses?